Pregnancy and birthing can be a special and rewarding experience in a woman’s life. However the thought of giving birth is often a frightening idea to both mums and supporting partners. This fear is mostly a result of cultural conditioning having us believe and expect birthing to be dangerous as well as the most painful experience a woman can have. This is constantly communicated to us in the mainstream media; birthing portrayed as an either very comic or tragic event, but never just as a normal, calm, ‘uneventful’ one. This is then also reinforced with lack of proper education (how many of us were ever taught anything about what actually happens during the birthing process? ), open conversation and support. The fact that many birthings take place in hospital gives us further the impression that birthing is a medical event, one that carries risks with it; one that’s abnormal or unhealthy. 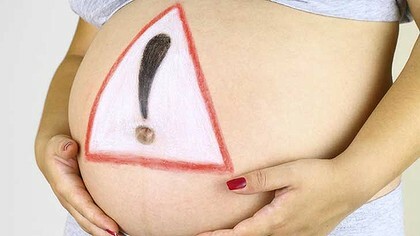 Antenatal classes may warn of all the possible dangers and complications, when the truth is that over 90% of healthy women will give birth safely with no need for intervention, when left to birth freely, in their own time and space. 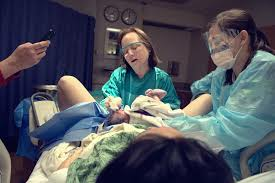 We might also have family and friends passing on their negative birthing experiences. Often women who had a wonderful experience keep it to themselves, feeling guilty sharing when others had had to suffer...or fearing making others feel guilty about birthings that could have perhaps been different. Then of course some women have had difficult past experiences of their own which reinforce all these negative feelings. The interesting scientifically proven fact is that fear itself has a direct and immediate effect on the birthing process; holding tension in our minds and bodies creates pain or complications as the natural birthing process is inhibited. This is one of nature’s perfect and purposeful designs; it’s a defence and survival mechanism; so that if a birthing mother senses danger - birthing will stop, allowing her to escape to safety - and only when she’s comfortable and relaxed will the process resume normally. So how can we change our life-long conditioning and let go of the fear? As the negative beliefs are embedded deeply in our subconscious, it’s not enough to consciously educate ourselves, but we need to alter and release these fears on a subconscious level. Hypnobirthing provides us with a complete birth education programme for both mum and her partner, based on that childbirth is a natural, normal and healthy function, and therefore, can be experienced in a more calm, gentle and often even pain-free way. Over the last few years as the programme has been gaining more recognition, statistics clearly show that it successfully decreases stress, pain, and any need for interventions or surgical births. The programme includes methods for deep relaxation, guided imagery and visualization, fear releasing, breathing techniques, a special massage for releasing endorphins (our bodies’ powerful natural pain-relief and feel-good hormone, bonding exercises, practical information and much more. It also teaches you all about how your body is perfectly designed and made to function during birthing and how fear directly affects this natural process. It can often be surprising to learn all these truths, and that they’re all based on physiological, medical and scientific facts. This factor of control is of utmost importance to having an overall positive experience; in fact, it is most often what makes the difference between a negative and a positive experience. The feeling that this special, intimate experience has been taken out of mum’s hands and into the hands of machines, drugs and doctors is what makes it traumatic in most cases. Not all birthings will end up unfolding as we’d hope for, sometimes special circumstances happen and there’s not much we can do about it. But with proper preparation, mums and partners can make informed decisions, while remaining calm and in charge of the situation, and therefore they feel that they still ‘own’ this personal experience and as a result they have a positive view of the experience overall. 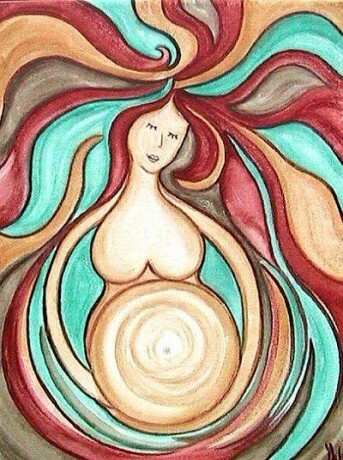 Gaining the Hypnobirthing knowledge and techniques creates positive expectations and mind sets, enabling mums and partners to relax, trust the natural birthing process, feel in control, confident and free of fear, opening the door to a life-affirming, empowering and inspiring experience.